Another picturesque scene from highway 1314, between Porter and Conroe, Texas. 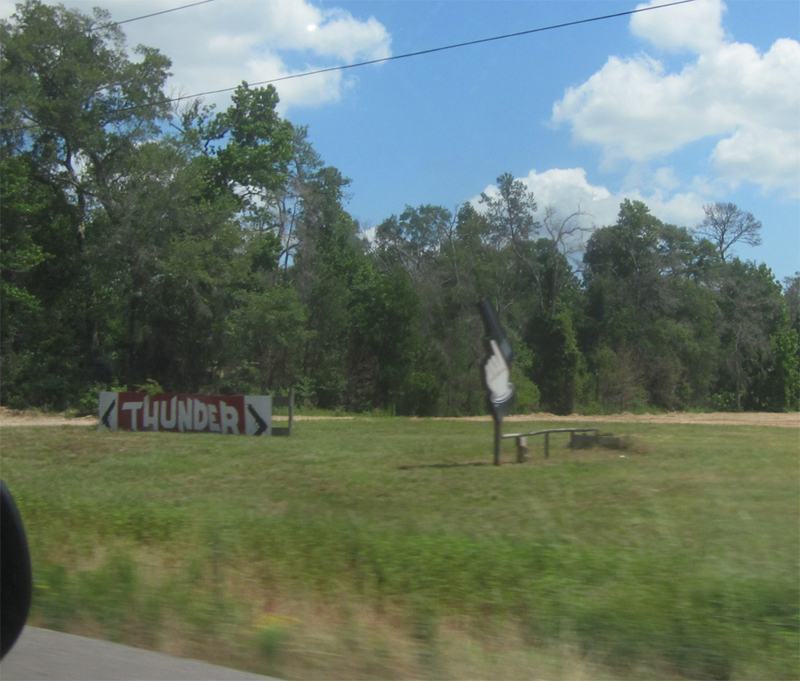 Here we have the signs for Thunder gun range. You can’t tell from the image, but the gun often has actual smoke coming from its barrel. F’ing awesome. Actually there are a lot of signs related to guns on this little stretch of highway. One would think that the Red Army is about to invade Porter. More pics soon, as I have another road trip planned! This next skate-related trip will take me through the cultural wonderland of the Waco metro area. What wonders will I find?